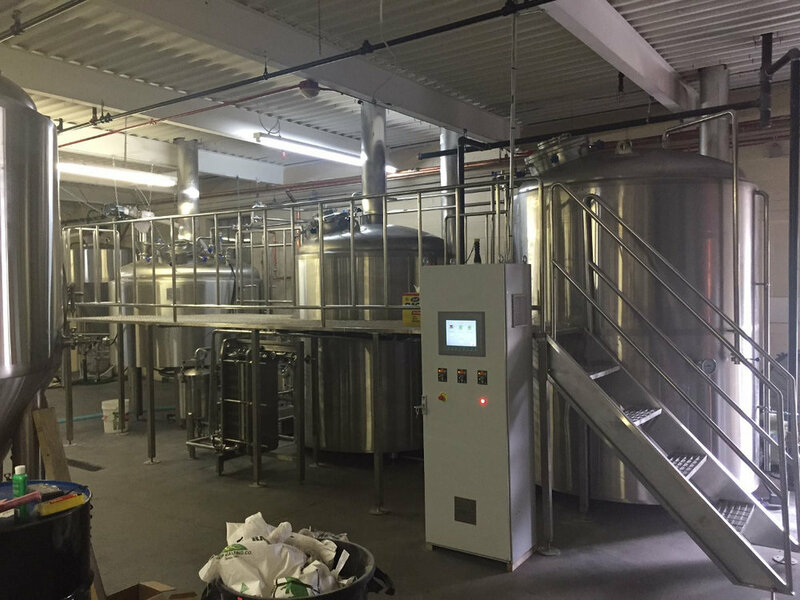 The Bog Iron beers are a product of a 15-barrel 3 vessel custom-built single-tier brewhouse, composed of a hot liquor tank, mash/lauter tun, and boil kettle. Brewing on this system allows us to produce a very consistent product, while still being small enough to allow us to experiment. This is where the beer is made. Brewing is only the first part of the process and produces a hop-infused sugar water, called wort. Once cooled, the wort is transferred to one of our 15 or 20-barrel fermenters. Then the yeast is pitched and the fermentation begins, the yeast consume the sugars and produce both carbon-dioxide and alcohol. At the completion of fermentation, we have beer.